Every year I make try my hand at making caramels, but I can’t get them right! I can’t figure out how to get it to the right temperature without having little burned bits in there, you know? 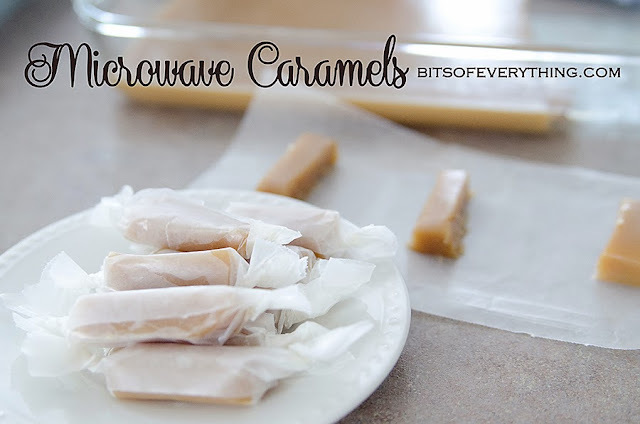 This year, I follow Rebecca from Simple As That blog on Instagram, and she posted her Microwave Caramels recipe. I tried it and it is seriously PERFECT. The taste is awesome, it was super easy, the consistency was perfect… and I didn’t have to use a thermometer!! Thank you Rebecca!! Generously butter a 9×13 inch pan and set aside. In a large microwave safe bowl melt butter. Add all the remaining ingredients except the vanilla and mix well. Microwave on full peer for 4-5 minutes. Remove from microwave and whisk. Microwave on high for another 4-5 minutes. Whisk again. Microwave an additional 4-5 minutes. Whisk while adding the vanilla. 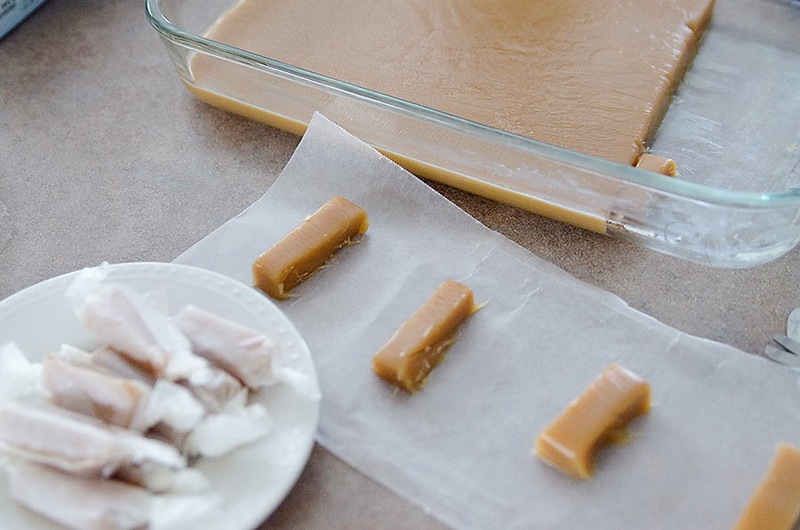 Pour the caramel mixture into the 9×13 inch pan. Let cool for 1-2 hours. Using a knife, cut into bite size portions and wrap in wax paper. Keep refrigerated. Seriously people, these are amazing. People have been raving. Enjoy! Where can I order generic http://hertsparentcarers.org.uk/wp-content/languages/pharmacy/desogen.html buy online for sale. Without a doctor prescription australia http://www.students4houses.co.uk/wp-content/pharmacy/clamoxin.html overnight delivery canada. cheap non prescription http://www.switch2.co.uk/wp-includes/certificates/pharmacy/fangan.html generic pill. Over the counter mexico http://planborganicfarms.ca/img/apps/pharmacy/triquilar.html Where to buy in canada. buy cheap online usa http://www.cuongvu.com/wp-includes/theme-compat/pharmacy/caduet.html Uk sales. treatment cost uk http://www.fireflyrestaurant.com/graphics/pharmacy/dancel.html average price of without insurance.